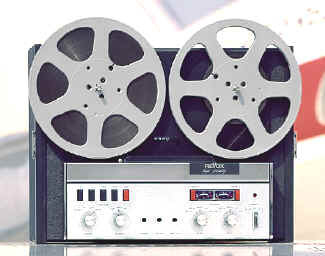 Welcome to our website dedicated to the great Revox tape recorders. Revox sadly ceased production of reel to reel tape recorders several years ago, but we always have a good selection of used Revox machines with warranty and test report for sale - contact us for up to date information. These machines really can rival modern digital recorders and many people say they sound even better! 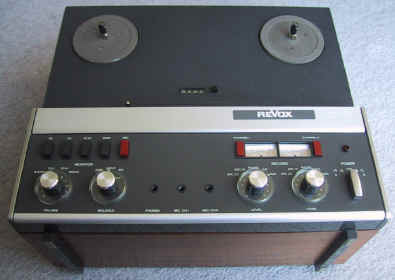 We often buy used Revox tape recorders and have been enthusiasts since we owned our first A77 in 1967! See if we can make you an offer for that unwanted Revox - no matter what condition it's in. We can service or repair your Revox to get the superb performance back to specification. A selection of spares and accessories both new and secondhand for Revox tape recorders is available. We offer DIY advice on head cleaning and demagnetizing. We operate a tape head relapping service, which could restore the performance of your machine if the heads are worn. See the factory authorised service and user manuals for Revox audio products. A variety of books on recording and studio techniques is on offer. New product additions are our handy home electricity cost meter and the Intelliplug. Recording tape suitable for the best 1/4" reel to reel machines is available at keen prices. Follow our links to other tape recorder enthusiast web sites. Or email us from our contact page. We would appreciate a small donation if we have helped you. One of the most common things we are asked for, is a cheap machine to play old 1/4 track recordings for copying. We sometimes acquire non-Revox machines that are suitable for this purpose. We don't offer a warranty on these machines, but they do offer a cheaper alternative if you don't want to invest in a Revox. Ring us to see what we have. We can also help with hire or a super copying service if you don't want to do it yourself. See our contact page to get in touch with us.